This week The Orchard Boat will provide the music to dine to. 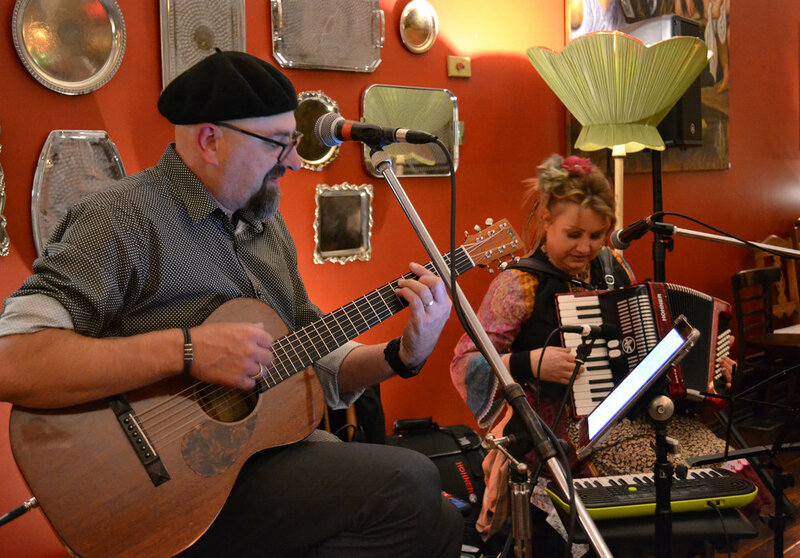 The Orchard Boat are Rob Weule and Beejhan (Bj) Goodfellow taking their gypsy guitar and accordion on a musical adventure through the Jazz, Irish, French, Celtic and Quirky Pop music scene featuring stunning instrumentals and sublime vocal harmonies. The Orchard Boat sets sail and charters a course delivering a cruise of musical adventure visiting distant yet familiar lands. So pull up a deck chair, sip on a rum cocktail and enjoy the Orchard Boat experience.